The Middle East: we see it on television news every night, we are appalled at what we see going on there – but how many of us have a clue what it’s all about? Every side has its story, every faction has its interests; some seek to resolve these politically, many others resort to violence, and as ever, many innocent people get caught up in the mess. 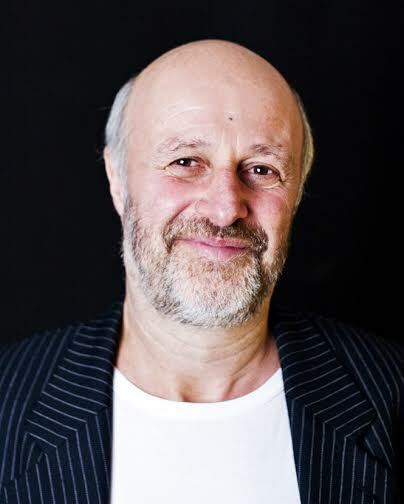 J David Simons is a Jewish writer from Glasgow; he gave up a successful legal career to go and live on a 1970s kibbutz, and although he’s now back in Scotland, he’s better placed than most of us to understand present day events. 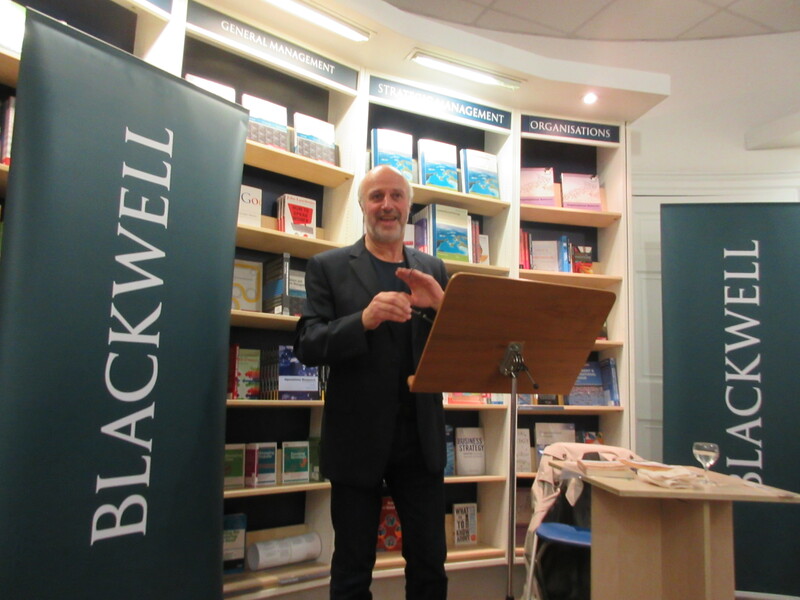 Last week David was at Blackwell’s to talk about his latest novel The Land Agent, a gripping and illuminating story set in 1920s Palestine. Mickey has found Lev a job with the Palestine Jewish Colonisation Association (PICA), an organisation set up and funded by a wealthy French benefactor who insists on anonymity. PICA really existed; it bought up land (including that on which David’s ‘own’ kibbutz was established) from Arabs and sold or leased it on to Jews, normally through brokers in Damascus or Cairo. The Anonymous Benefactor, as he was known, was not a Zionist, and PICA was not a charity – David describes it as more of a bank for business start-ups. The British, who at that time governed Palestine under a mandate granted to them by the League of Nations in 1922, had evicted the Turks from the area at the end of the war with the help of the Arab population. The Arabs expected help to create a nation state in return, but the British had also entered into the Balfour Agreement, promising to help the Jews create their own state. Predictably, nobody was happy. 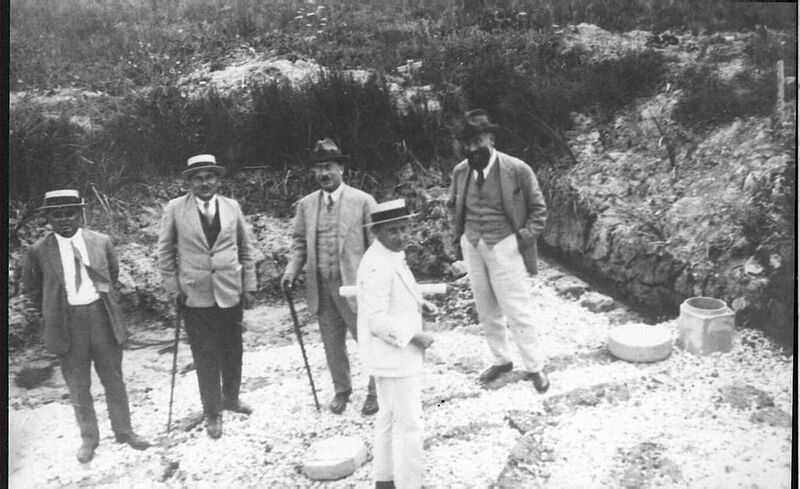 PICA did its best to negotiate the situation peacefully, trading fairly with the Arabs and soon owning a sizeable chunk of Palestine, land that was used to set up kibbutzim and other ventures for displaced Eastern European Jews. David has already written two books in his Glasgow to Galilee trilogy, although each can be read as a stand-alone novel. The first, The Credit Draper, opens in 1911 Glasgow and concerns Avram, a young boy sent to Scotland to avoid conscription into the Russian army. Taken in by a Jewish family in the Gorbals, Avram wants to be a footballer but ends up as a credit draper in the Highlands. The Liberation of Celia Khan, meanwhile, is about Avram’s adopted sister – David had no plan to give Celia her own book, but his then publisher wanted to know what had happened to her. Celia is a strong woman who becomes involved in the 1915 Glasgow Rent Strike, Red Clydeside and birth control campaigns – eventually disillusioned , she starts looking to start a new life elsewhere – and turns up in The Land Agent as a kibbutznik. David isn’t interested in writing political polemic, and this shows – all of his characters are well developed individuals, each with their own quirks and worries. He originally thought he’d need to do a lot of background research, but a chance event changed his mind: the Palestine Railway, whose main purpose was to take pilgrims to Mecca, used to run through the kibbutz where he lived, but had been blown up in the 1948 war. A ‘station’ – little more than a platform – still stood, with a few bits of twisted track. When David started to investigate, he found a website, Palestine Remembered, that documents all of the villages evacuated or destroyed in 1948. The village that the station served is on the list – there is a photograph of the site and four years of oral testimony are recorded, but David had never seen any evidence of the existence of the village – not even a rock or post – whilst he was in the area. He wrote to the kibbutz archivist, who replied that there was no record of such a village ever having existed – no-one on the kibbutz who was alive at that time could remember anything about it. David has never been able to pin down the truth of what happened, and this made him realise that any attempts at research would be like this every step of the way; there was no point in bothering and he would just have to make up his own mind – in fact, he says, it was like the recent Scottish Referendum, with no reliable information anywhere. His characters would just have to take their own stances; it was after all a work of fiction. Meanwhile Lev’s new boss, Sammy Ziv, is trying to put PICA’s principles into action; he is deeply attached to the land and knows everything about it, and cannot stand Those Bloody Zionists, whom he sees as ruthless, reckless land robbers. David introduces another thread into the story via Celia’s letters home to her friend Charlotte, who is involved in the Temperance Movement in Glasgow. The high ideals of the Movement mirror those of the Jewish settlers; both are full of hope, both end in despair. In 1920s Palestine, Jewish immigration was a big problem. 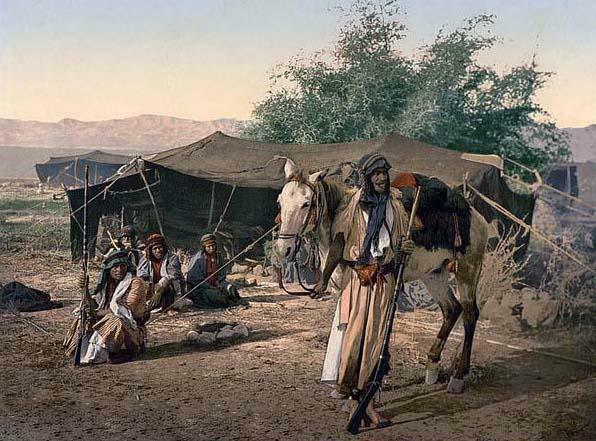 At the start of the decade the population of the area was 750,ooo, of whom 600,000 were Muslims (100,000 of these being Bedouin), 83,000 were Jewish and 70,000 were Christian. Around 10,000 Jews arrived every year (although many left again owing to the harshness of the conditions); there were huge tensions between the Arabs and the Jews. The Arabs would complain to Britain, who would impose a cap on numbers, the Jews would then complain to Britain and the quotas would be lifted. Once again, no-one was happy. 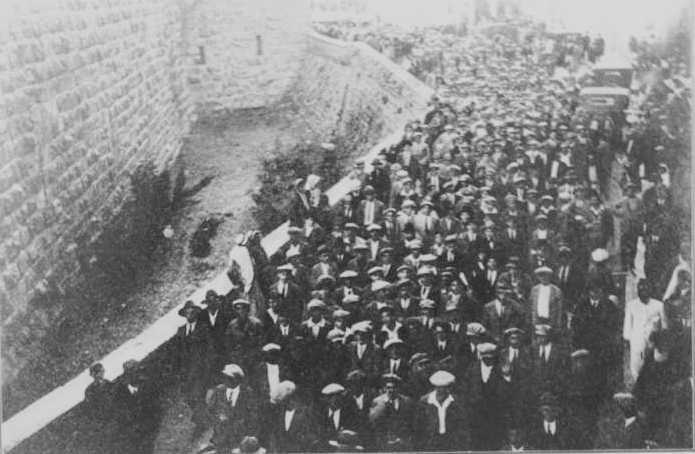 As the political situation worsens in Palestine (there were riots in Jaffa in 1921, and much more serious ones in 1929, the so-called Western Wall Uprising or 1929 Massacre that started over access to the Wailing Wall), Lev’s involvement with Kfar Ha’Emek – and with Celia – grows, until events reach a terrifying climax. The Land Agent is published by Saraband Books. J David Simons is also the author of the critically-acclaimed An Exquisite Sense of What is Beautiful; he is now working on a new novel, Integrity. David and fellow author Chris Dolan will be running a free masterclass in writing narratives from the past as part of Previously…Scotland’s History Festival at the City Art Centre in Edinburgh on 13th November 2014: for more information see the Previously website: bookings should be made via eventbrite.